Methadone is a prescription painkiller that is also used to relieve withdrawal symptoms associated with heroin and other narcotic drugs. Methadone Overdose is the accidental or intentional intake of the drug in dosage higher than recommended. What are the Causes of Methadone Overdose? What are the Signs and Symptoms of Methadone Overdose? The signs and symptoms of Methadone Overdose can vary from one individual to another. It may be mild in some and severe in others. Several systems of the body, such as the muscular system, digestive system, nervous system, vascular system, skin and ENT may be affected. How is First Aid administered for Methadone Overdose? Who should administer First Aid for Methadone Overdose? 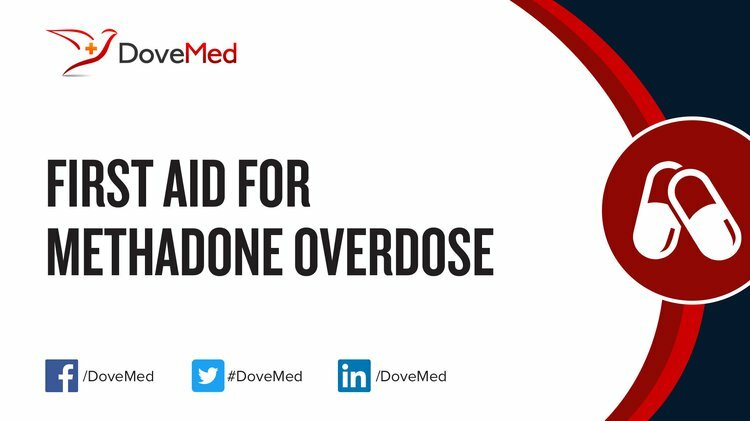 First aid for Methadone Overdose is administered by healthcare professionals. What is the Prognosis of Methadone Overdose? How can Methadone Overdose be Prevented? Centers for Disease Control and Prevention (CDC. (2012). Vital signs: risk for overdose from methadone used for pain relief-United States, 1999-2010. MMWR. Morbidity and mortality weekly report, 61(26), 493. Strang, J., Hall, W., Hickman, M., & Bird, S. M. (2010). Impact of supervision of methadone consumption on deaths related to methadone overdose (1993-2008): analyses using OD4 index in England and Scotland. Bmj, 341, c4851. Kuehn, B. M. (2012). Methadone overdose deaths rise with increased prescribing for pain. Jama, 308(8), 749-750. Christenson, B. J., & Marjala, A. R. (2010). Two cases of sudden sensorineural hearing loss after methadone overdose. Annals of Pharmacotherapy, 44(1), 207-210. Salgado, R. A., Jorens, P. G., Baar, I., Cras, P., Hans, G., & Parizel, P. M. (2010). Methadone-induced toxic leukoencephalopathy: MR imaging and MR proton spectroscopy findings. American Journal of Neuroradiology, 31(3), 565-566. Gheuens, S., Michotte, A., Flamez, A., & De Keyser, J. (2010). Delayed akinetic catatonic mutism following methadone overdose. Neurotoxicology, 31(6), 762-764. Jones, C. M. (2016). Trends in methadone distribution for pain treatment, methadone diversion, and overdose deaths—United States, 2002–2014. MMWR. Morbidity and mortality weekly report, 65. Jabbehdari, S., Farnaghi, F., Shariatmadari, S. F., Jafari, N., Mehregan, F. F., & Karimzadeh, P. (2013). Accidental children poisoning with methadone: an Iranian pediatric sectional study. Iranian journal of child neurology, 7(4), 32.